The Pomona Police Department will be conducting a “Know Your Limit” operation in Downtown Pomona and other areas in the City on Friday,January 18th, 2019. This DUI education and awareness program is about helping people make a better choice to not drive under the influence. The effects of impaired driving can lead to serious injury or death and have severe financial penalties. 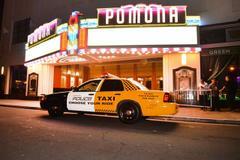 Pomona Police encourages everyone to designate a sober driver and make good choices. Pomona Police officers will be in and around establishments that serve alcohol between the hours of 5:00 p.m. and 10:00 p.m. to initiate friendly and consensual conversation with patrons who are drinking and socializing. Once officers explain the educational goal, volunteers will be offered the use of a professional PAS breathalyzer device to show what their Blood Alcohol Concentration (BAC) level is versus what they think it is. The patron has the ability to, without consequence; provide a breath sample to determine his or her BAC. Many are surprised to see how quickly their BAC level is rising. Regardless of the results patrons are provided educational pamphlets that reinforce the dangers and risks of DUI driving. No one is arrested regardless of the results. This is meant to be a low key, positive interaction with businesses and patrons in our community. This program is intended to be high visibility and draw attention to the educational message. Many DUI violations occur at or near the legal limit of .08% BAC. Frequently these violators are simply unaware of the way alcohol affects them and the rate at which the body metabolizes alcohol. 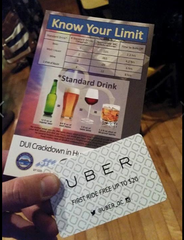 The ability to educate the public in a social setting where they are consuming alcohol is a unique manner by which to drive home the message of “Know Your Limit.” The goal of the Know Your Limit program is not to validate a level of intoxication, but rather to educate the patron who may not realize they are nearing or even over the legal limit to drive. Know Your Limit has become a very popular public relations tool and Pomona Police has embraced this opportunity to educate the public and keep the community safe. In California, this deadly crime led to 914 deaths and over 24,000 serious injuries in 2014 because someone failed to designate a sober driver. Nationally, the latest data shows over 10,000 were killed by an impaired driver. Over the course of the past three years, data shows DUI collisions have claimed 8 lives and resulted in 131 crashes harming 154 of our friends and neighbors in Pomona. The Pomona Police Department has conducted 32 “Know Your Limit” operations since October 2016. Officers have administered over 350 breath tests, visited over 100 bars/restaurants, and contacted over 2,500 people. We have received very positive feedback from citizens. Funding for Know Your Limit is provided by a grant from the California Office of Traffic Safety, through the National Highway Traffic Safety Administration who reminds everyone to be alert and ‘Report Drunk Drivers – Call 911’ immediately!